We at the Danny Thomas Coaching Academy Ltd want to make sure all the personal information we have collected about you, is safe and secure whether we collect it through our website at [https://dannythomascoachingacademy.co.uk] or from other sources. This Policy sets out our commitments to you, in compliance with and beyond the General Data Protection Regulation (commonly known as the GDPR) and explains how we collect, store and use your personal information. We have not appointed a Data Protection Officer to oversee our compliance with data protection laws as we are not required to do so, but our Business Manager has overall responsibility for data protection compliance in our organisation. If you have any questions about this Policy or what we do with your personal information, their contact details are set out in the “Contact” section below. 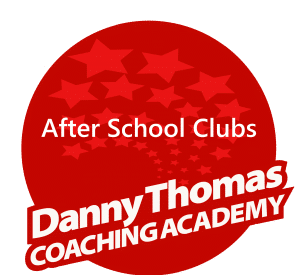 Danny Thomas Coaching Academy processes personal data relating to parents, children, staff and others, and therefore we act as a data controller. Danny Thomas Coaching Academy is registered as a data controller with the Information Commissioner’s Office and will renew this registration annually or as otherwise legally required. We are committed to safeguarding the privacy of visitors to this website. We are the data controller with respect to the personal data of visitors and users of this website. We may on occasions use a third party service who will operate as our data processor, further information regarding data processors is contained in this document. We may process your account data including your name, address, telephone number and email address and/or other information you supply to us. This account data may be processed for the purposes of operating our website, providing our services and ensuring the security of our website, maintaining back-ups of our databases and communicating with you. The legal basis for this processing is consent or our legitimate interests, namely the proper administration of our website and business or the performance of a contract between you and us , for example when you make a booking through this website or enter your data into a form. We may process information that you post for publication on our website or through our services. The publication data may be processed for the purposes of enabling such publication and administering our website and services. We may process information contained in any communication that you send to us via email, contact forms or booking forms. The correspondence data may include the communication content and metadata associated with the communication. The correspondence data will only be processed for the purposes of communicating with you and record-keeping. When you visit this website, we use a third-party service, Google Analytics, to collect standard internet log information and details of visitor behaviour patterns. We do this to find out things such as the number of visitors to the various parts of the site. This information is only processed in a way which does not identify anyone. We do not make, and do not allow Google to make, any attempt to find out the identities of those visiting our website. If we do want to collect personally identifiable information through our website, we will be transparent about this. We will make it clear when we collect personal information and will explain what we intend to do with it. We may disclose your personal data where such disclosure is necessary for compliance with a legal obligation to which we are subject, or in order to protect your vital interests. We may also disclose your personal data where such disclosure is necessary for the establishment, exercise or defence of legal claims, whether in court proceedings or in an administrative or out-of-court procedure. 3. You may instruct us at any time not to process your personal information for marketing purposes. It is our policy that you will either expressly agree in advance to our use of your personal information for marketing purposes, or we will provide you with an opportunity to opt out of the use of your personal information for marketing purposes. Our website search facility is powered by WordPress. Search queries and results are logged anonymously to help us improve our website and search functionality. No user-specific data is collected by us or any third party. This website uses a third party service to help maintain the security and performance of the website. To deliver this service it processes the IP addresses of visitors to this website. The third parties we use are 123-reg.co.uk and Google Analytics. We use a third party service, WordPress.com, to publish our Blog/Posts. These sites are hosted on our secure servers. We use a standard WordPress service to collect anonymous information about users’ activity on the site, for example the number of users viewing pages on the site, to monitor and report on the effectiveness of the site and help us improve it. Our WordPress platform requires visitors that want to post a comment to enter a name and email address. When you call us, we collect Calling Line Identification (CLI) information. We do not record calls. We may have to disclose the complainant’s identity to whoever the complaint is about. This is inevitable where, for example, the accuracy of a person’s record is in dispute. If a complainant doesn’t want information identifying him or her to be disclosed, we will try to respect that. However, it may not be possible to handle a complaint on an anonymous basis. We do not identify any complainants unless required to do so by law. We offer various services to individuals. We may use a third party to deal with some areas of our business, but they are only allowed to use the information at that time and duration of the work they carry out. They cannot share any information with any third party. We have to hold the details of the people who have requested the service in order to provide it. However, we only use these details to provide the service the person has requested and for other closely related purposes. For example, we might use information about people who have requested a particular service and we may then carry out a survey to find out if they are happy with the level of service they received. We may use data processors, they are third parties who may provide elements of our services such as recruitment or external suppliers of our products. They cannot do anything with your personal information unless we have instructed them to do it. They will not share your personal information with any organisation apart from us. They will hold it securely and retain it for the period as set out by UK law. Public electronic communications service providers are required by law to report any security breaches involving personal data to the ICO. We use 123-reg.co.uk to manage our servers and information that is contained on those servers. In the event of any query or complaint in connection with the information we hold about you, please email us HERE. We do not collect more information than we need to fulfil our stated purposes and will not retain it for longer than is necessary.The information we ask for is used to assess your suitability for employment. You don’t have to provide what we ask for but it might affect your application if you don’t. We ask you for your personal details including name and contact details. We will also ask you about your previous experience, education, referees and for answers to questions relevant to the role you have applied for. Our Human Resources department will have access to all of this information. You will also be asked to provide equal opportunities information. This is not mandatory information – if you don’t provide it, it will not affect your application. This information will not be made available to any staff outside of our Human Resources team, including hiring managers, in a way which can identify you. Any information you do provide, will be used only to produce and monitor equal opportunities statistics. We might ask you to participate in assessment days; complete tests or occupational personality profile questionnaires; and/or to attend an interview – or a combination of these. Information will be generated by you and by us. For example, you might complete a written test or we might take interview notes. This information is held by the us and not shared with anyone. If we make a conditional offer of employment or work under a freelance basis we will ask you for information so that we can carry out pre-employment checks. You must successfully complete pre-employment checks to progress to a final offer. We are required to confirm the identity of all staff, their right to work in the United Kingdom and seek assurance as to their trustworthiness, integrity and reliability. • Proof of your identity – you will be asked to supply original documents, we will take copies. • Proof of your qualifications – you will be asked to supply original documents, we will take copies. • You may be asked to complete a DBS check, if the role is a relevant one. • We will provide your email address for a Basic Criminal Record check via the Disclosure and Barring Service, which will verify your declaration of unspent convictions. If you accept a final offer from us, some of your personnel records will be held on electronic personnel system which is an internally used HR records system. Final recruitment decisions are made by hiring managers and members of our Human Resources team. All of the information gathered during the application process is taken into account. You are able to ask about decisions made about your application by speaking to your contact within our Human Resources team. In many circumstances we will not disclose personal data without consent. However, when we investigate a complaint, for example, we will need to share personal information with the organisation or person concerned and with other relevant bodies. This privacy notice does not cover the links within this site linking to other websites. Please read the privacy statements on the other websites you visit. We keep our privacy notice under regular review. This privacy notice was last updated on 2nd June 2018. Danny Thomas Coaching Academy is committed to complying with data protection law and to respecting the privacy rights of individuals. Our Data Protection Policy applies to all of our staff, workers, directors, volunteers and consultants. The Data Protection Policy sets out our approach to data protection law and the principles that we will apply to our processing of personal data through any contact with us. The aim of the Policy is to ensure that we process personal data in accordance with the law and with the utmost care and respect. If you would like to receive a copy of this policy please request it HERE.